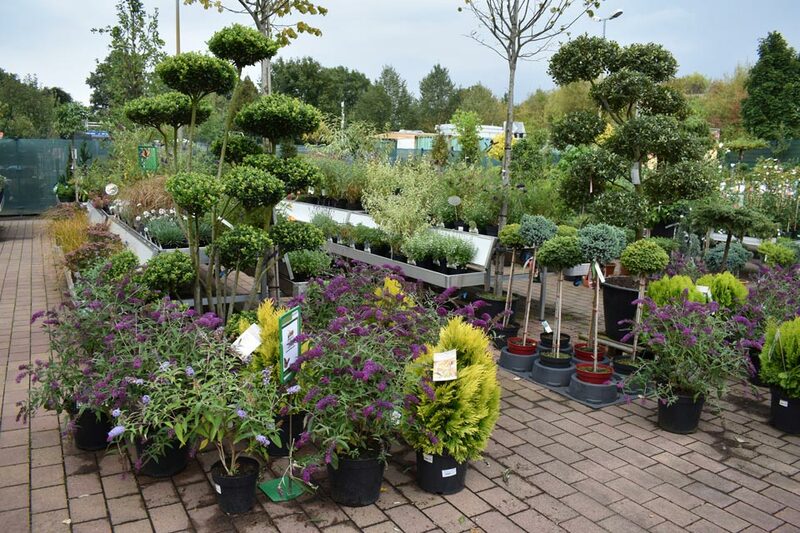 While attending the garden show spoga+gafa in Cologne, Germany, in September, Hardware Retailing editor Jesse Carleton also had the opportunity to visit two garden centers in the area. 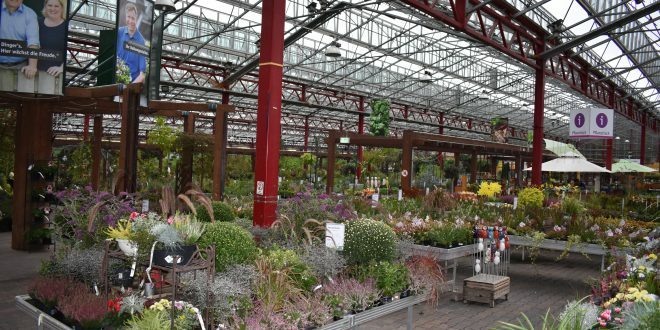 These garden centers are exemplary in the way they merchandise their wares and serve their customers. 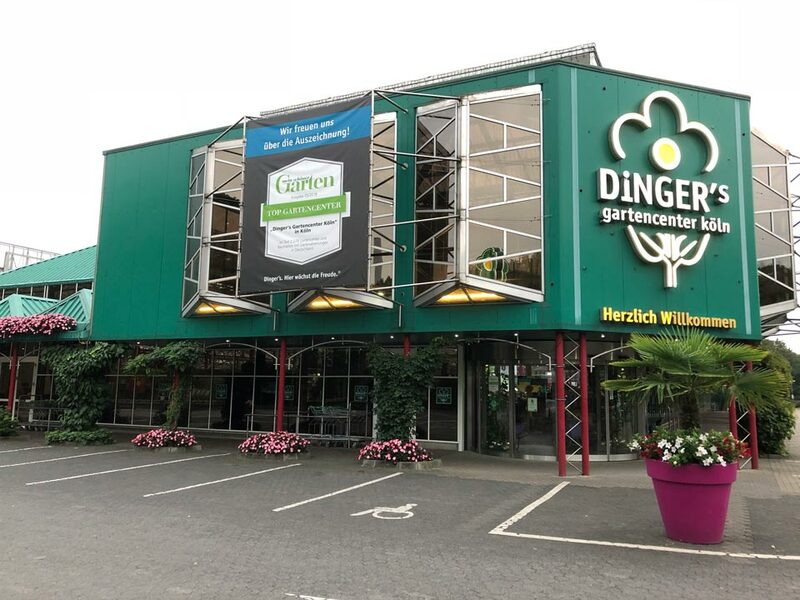 Dinger’s Garden Center and Bellandris Garden Center, each located in the suburbs of Cologne, cater to a customer base that takes gardening seriously, wants top-quality products and is motivated by shopping experience more than price. 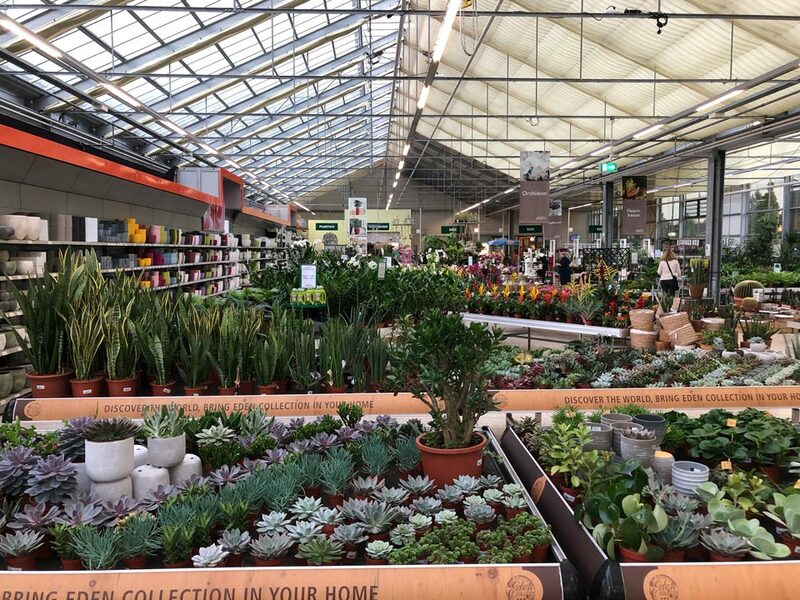 Here is a photo tour of these two garden centers, showing how they create attractive shopping environments for their customers. 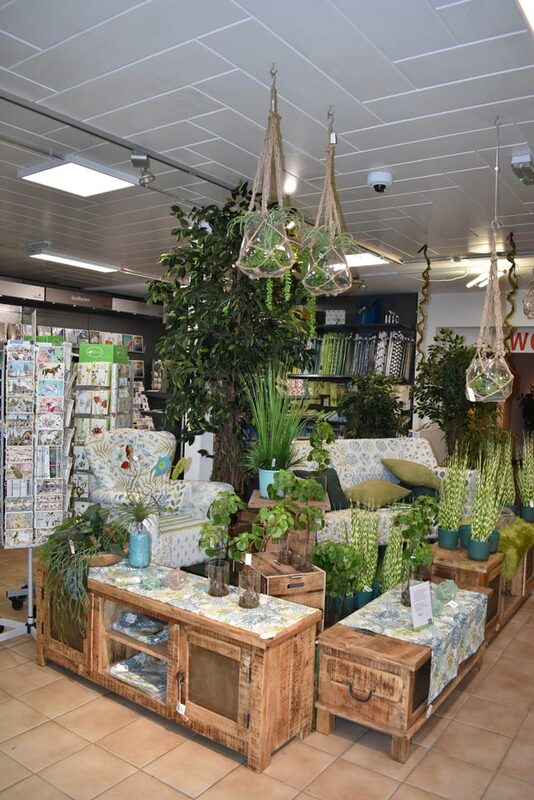 Stack outs with lawn and garden accessories are scattered throughout the greenhouse and indoor retail space at Bellandris Garden Center, often carrying a theme for the season. Bellandris has thought of everything to make the customer experience more convenient, including complimentary umbrellas to use in case it starts to rain while customers are shopping in one of the outside retail areas. 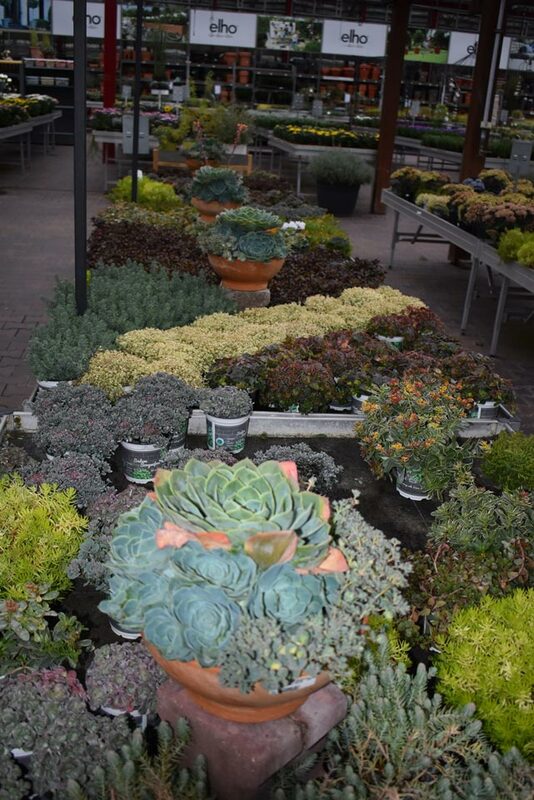 Variety is important when selling plants. Bellandris changes out displays about every three weeks so the customer gets the impression that there is always something new to see at the store. 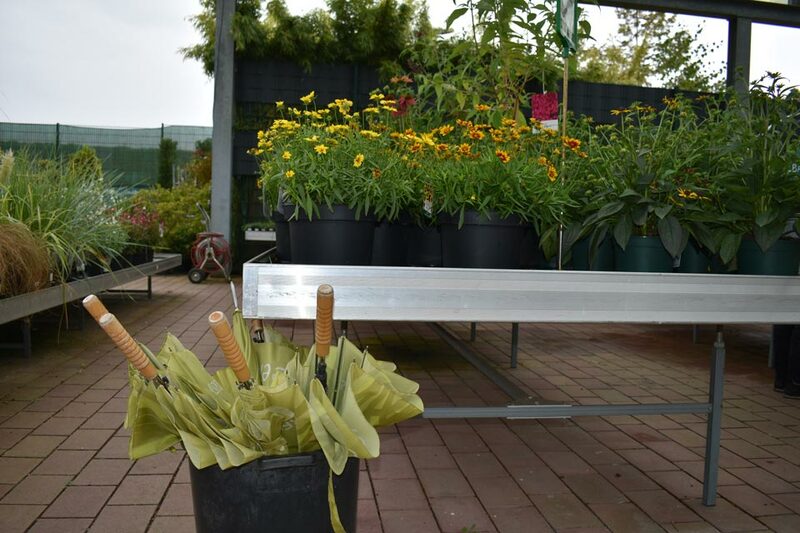 Every day, staff at Bellandris examine plants and eliminate dead or dying ones. 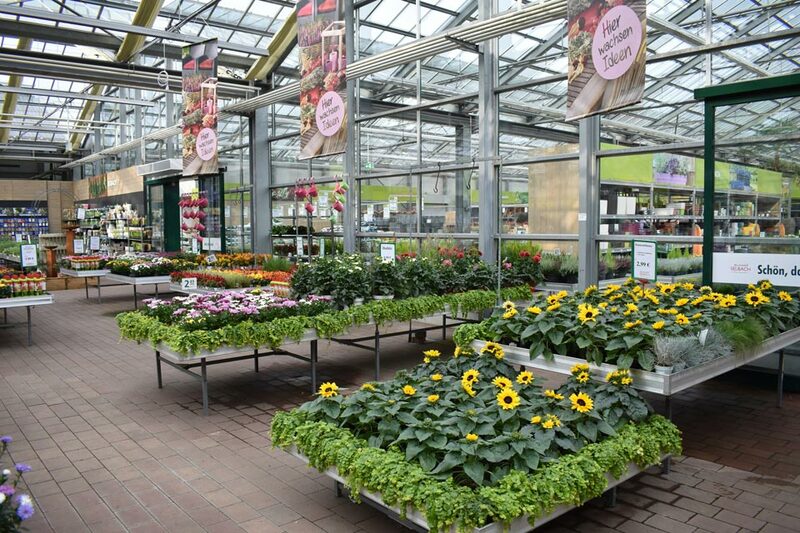 When running a garden center, it’s critical that live goods are fresh and healthy. The loss of those plants that must be thrown away has to be figured into the budget. 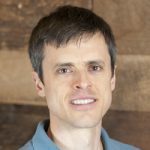 Bellandris collects rainwater through a rain collection system and uses it to maintain the plants. Absorbent liners on the bottoms of the displayers also stay moist, collecting run-off and keeping plants from drying out. 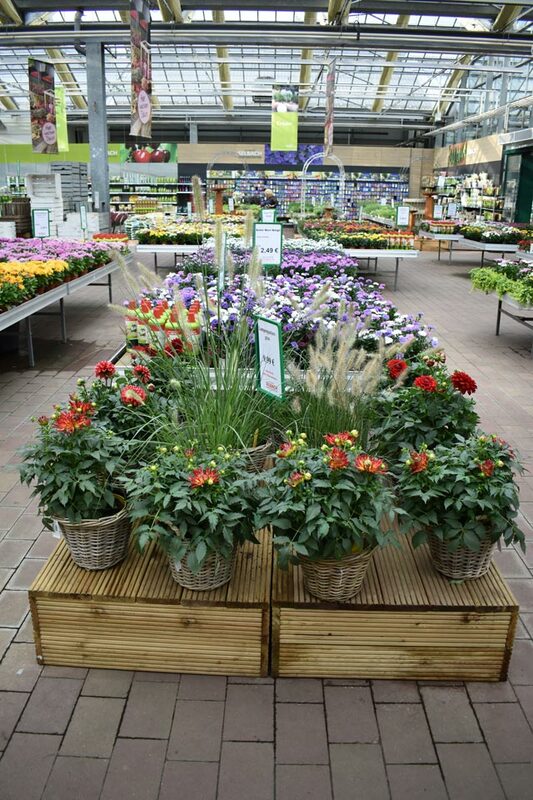 Pre-potted plants are ready for an impulse purchase near the entrance at Bellandris. For customers, the plants might be an easy gift solution. 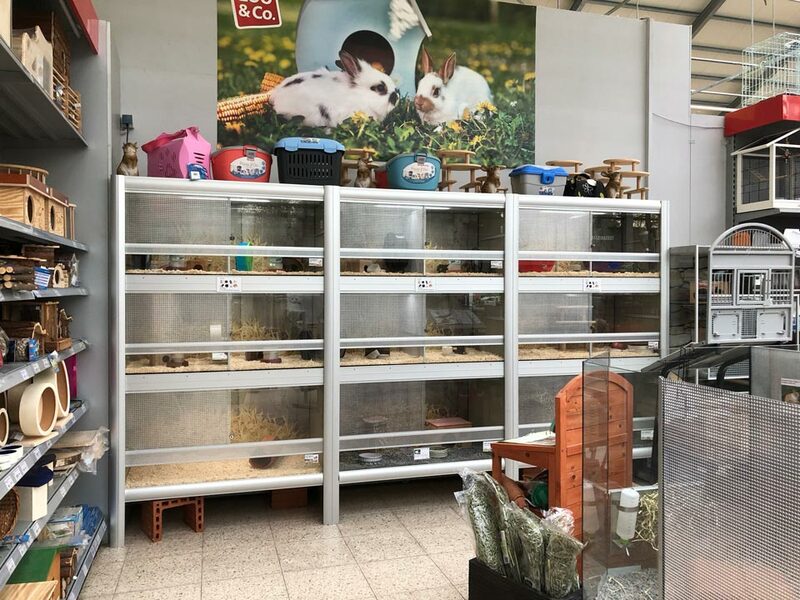 Bellandris also sells small animals and pets, such as rabbits and fish. Why? Because pet food makes good repeat customers and shoppers don’t buy many plants in the winter. Pets offer another category to attract business. 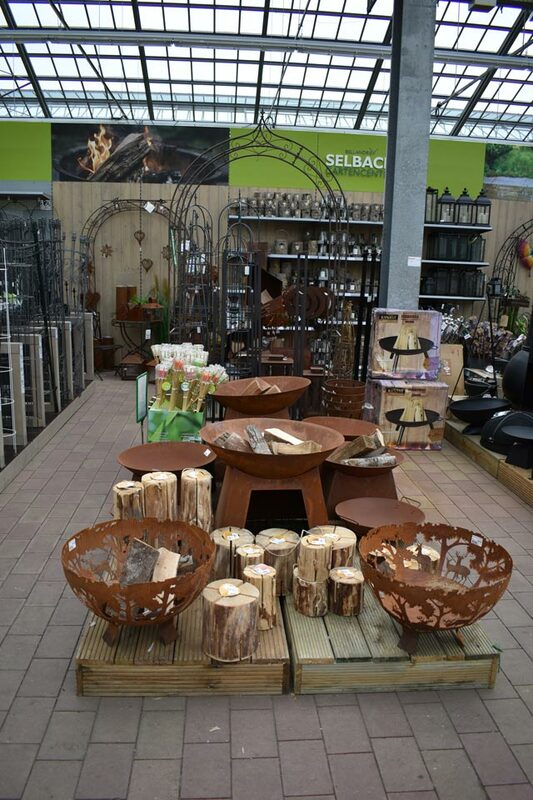 Fixtures at Dinger’s Garden Center can be moved so it’s easy to rearrange the salesfloor so it doesn’t get stagnant. Each of the major departments also have customer service stands so customers can easily get answers to questions. Dinger’s Garden Center is a fourth-generation business. 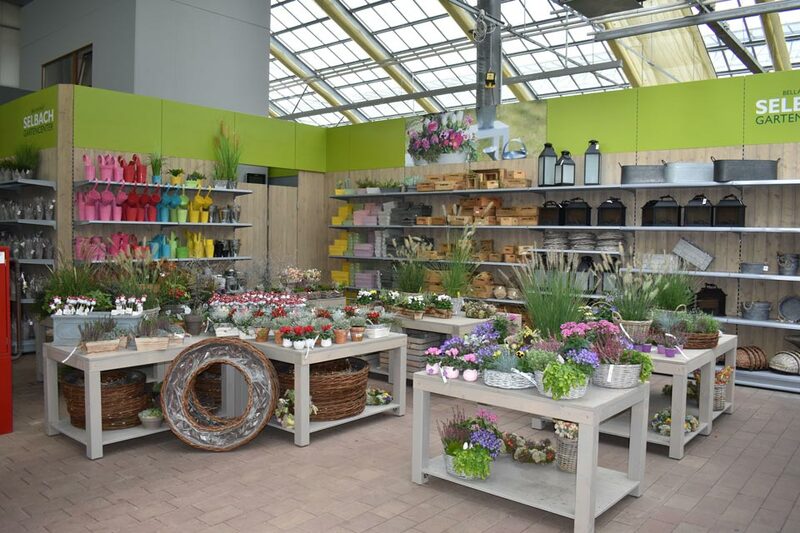 When the garden center opened in 1960, it was the first of its kind in Europe to operate based on the American model, which included self-service and a year-round supply of container plants. Today, the retailer has roughly 136,000 square feet of retail, 138 employees and space for 300 cars in the parking lot. 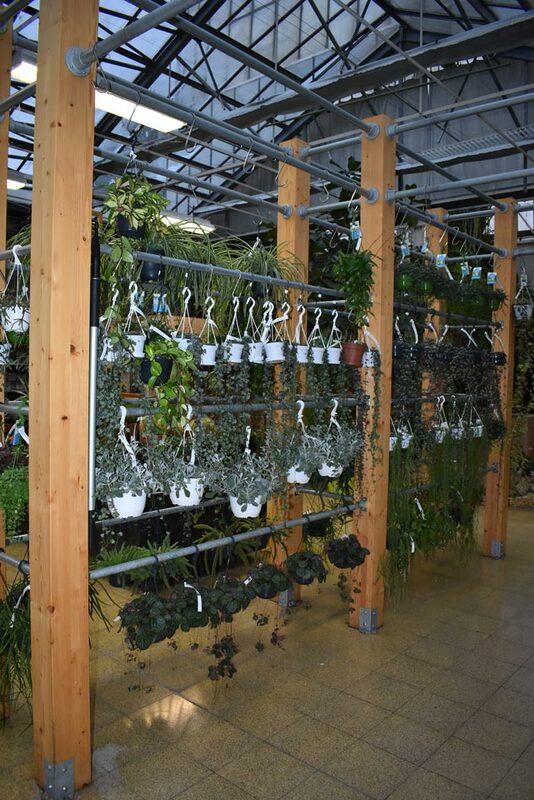 Hanging plants continue to be a popular choice for shoppers. This displayer is attractive and makes efficient use of space. 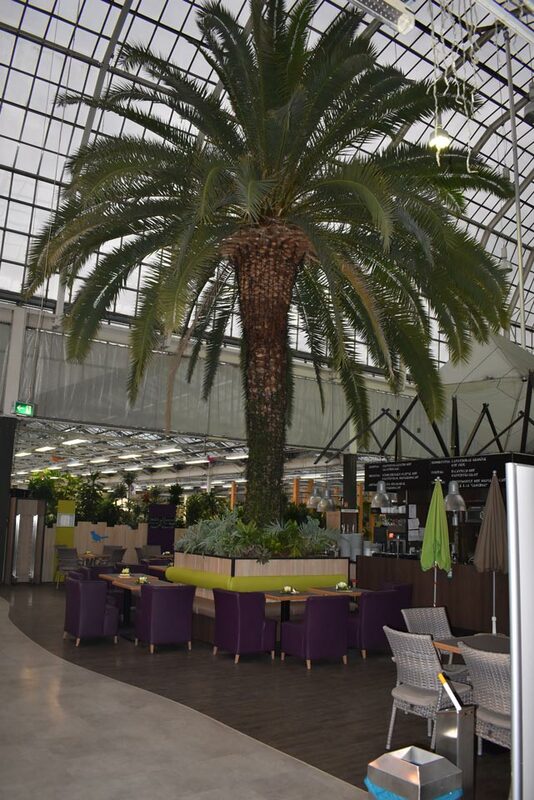 A live palm tree, which is nearly 110 years old, is the centerpiece of the Palm Café at Dinger’s that allows customers to take a break while shopping. Both Dingers and Bellandris have cafes, giving customers a reason to stay longer and spend more. Another tactic both garden centers use to create a more pleasant shopping experience is finding a way to keep the children occupied. 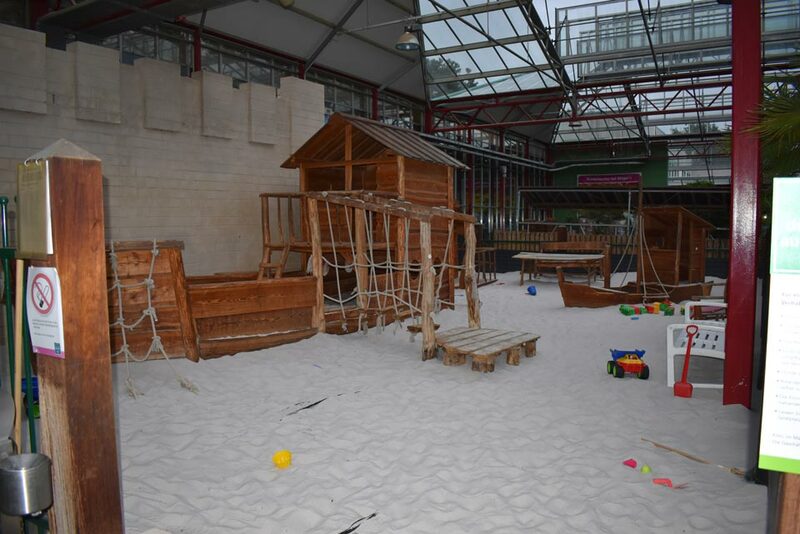 This play area at Dinger’s was centrally located so children were easily visible to parents while they shopped. Instead of always presenting one type of flower per displayer, Dinger’s creates a more interesting display by creating patterns and designs by mixing and matching different types of plants. Lifestyle vignettes showcase the range of products Dinger’s offers and helps customers visualize the pieces on their own patios.